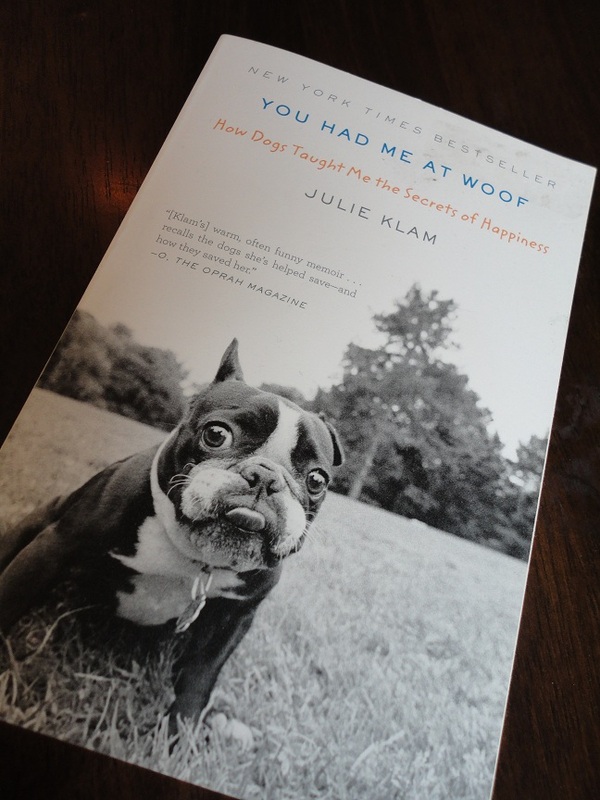 A few weeks ago, I finished the book You Had Me at Woof by Julie Klam. My friend AW marched over to my desk at work one morning about a month ago and told me I had to read it. I lollygagged a bit because I was in the middle of a few other books, but once I started it I didn’t want to put it down. You Had Me at Woof is a fairly quick and easy read that details Klam’s experience as a foster for a Boston Terrier rescue group in New York. Klam’s writing is smart, quick-witted, and thoughtful. Now, once I finish To Reach the Clouds by Philippe Petit (if you haven’t seen the documentary Man on Wire yet, it’ll change your life) it’s on to The Art of Racing in the Rain! Posted on March 27, 2012 by Shannon	This entry was posted in Bookshelf. Bookmark the permalink. mmmmm… i’ve read The Art of Racing…. he is speaking in Seattle in April. not my favorite book – dog story but also brain tumor…. Where’s the review of the leash bag? And what catchy name are we going to call it? I know! I haven’t taken photos of it yet…hmmm…what to call it?